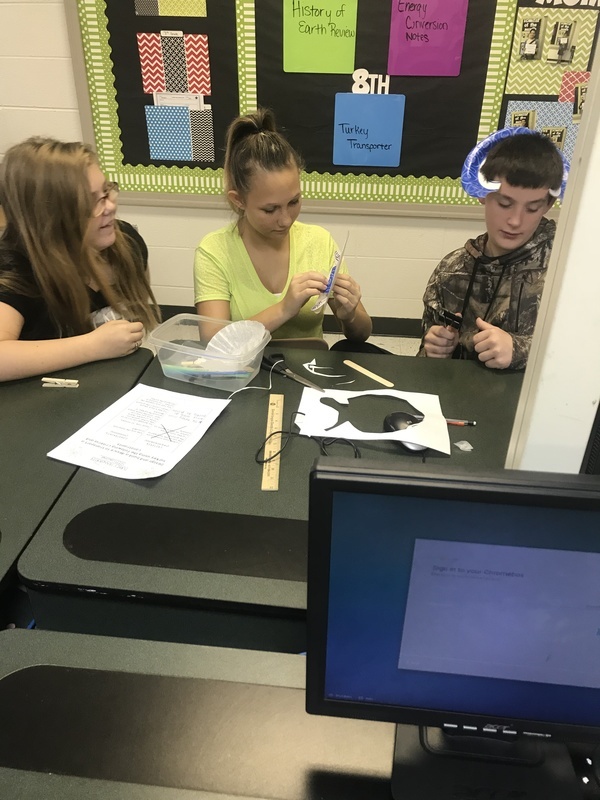 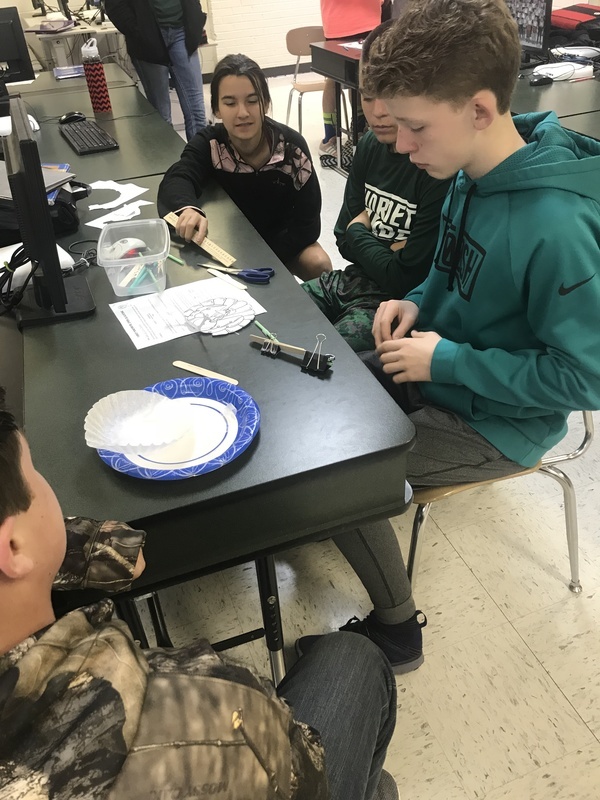 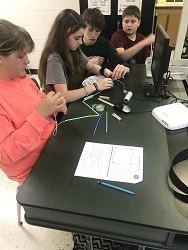 Before school let out for fall break Ms. Blankenship’s 8th graders were given the task to design and build a device to transport a turkey safely across a distance of 6.5 meters. 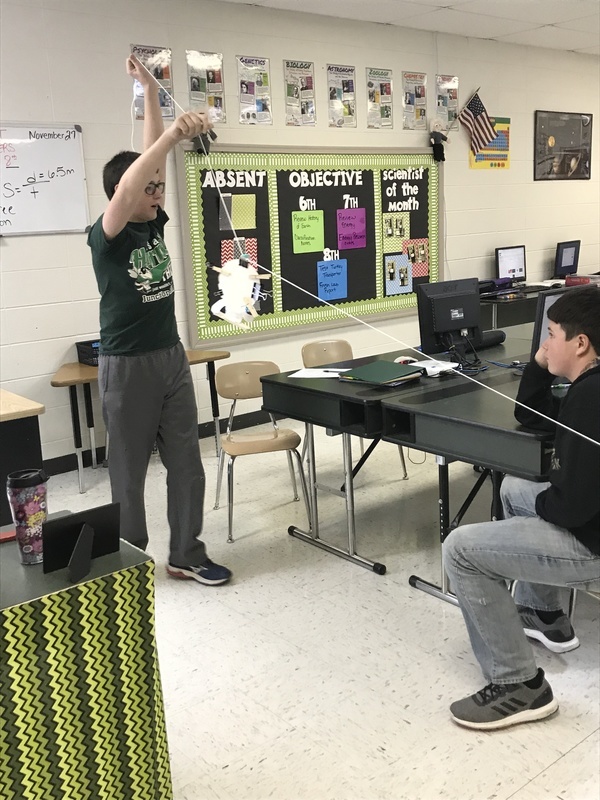 The turkey had to arrive safely without folds, crumples, and/or tears to the turkey’s body as well as the body and face could not hit the floor during transportation. 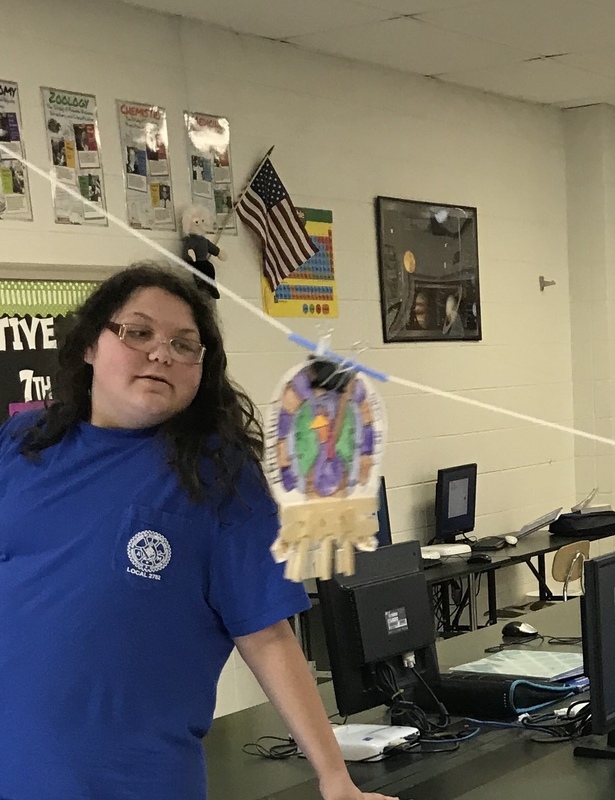 The turkey was timed during transportation, and speed was calculated to determine the group of students that designed the safest and most efficient transportation device.